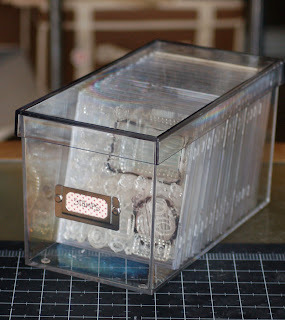 Any idea where to get these clear storage boxes in the size shown? I cannot find them anywhere. Katrina, search google for CD acrylic box. You will find similar ones.